Yet another general platform has blocked Alex Jones. 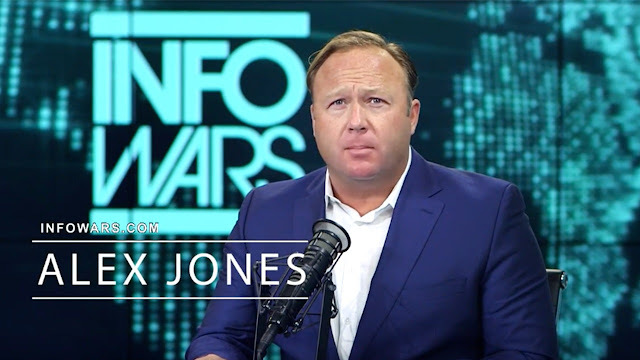 The music streaming service Spotify says it has removed some episodes of “The Alex Jones Show” podcast for violating its hate content policy. Spotify is a private company and can do what it wants but it should be noted there are aggressive ideologically driven organized campaigns to block Alex Jones/Infowars broadcasts on platforms across the internet. The issue here is not about the content of Alex Jones shows but about the limiting of views on general platforms. It is a very dangerous trend (Though not a violation of NAP). We live under a diversity dictatorship. Yes, the company can do whatever it wants --it's their money. But it does present a PR and policy problem for Spotify because the company opened the door to political activists who want to censor rivals. A more principled stance is not easy to maintain due to a very human desire to please everyone, but it wouod be easier to defend compared to a mushy policy. Leverage the central bank to have a few market dominating companies. Then have government regulate to make sure they stay on top. Then those few dominating companies censor views that the government and its influencers don't like. Then it's all just fine because they are private companies. This is how censorship is done in the USA.